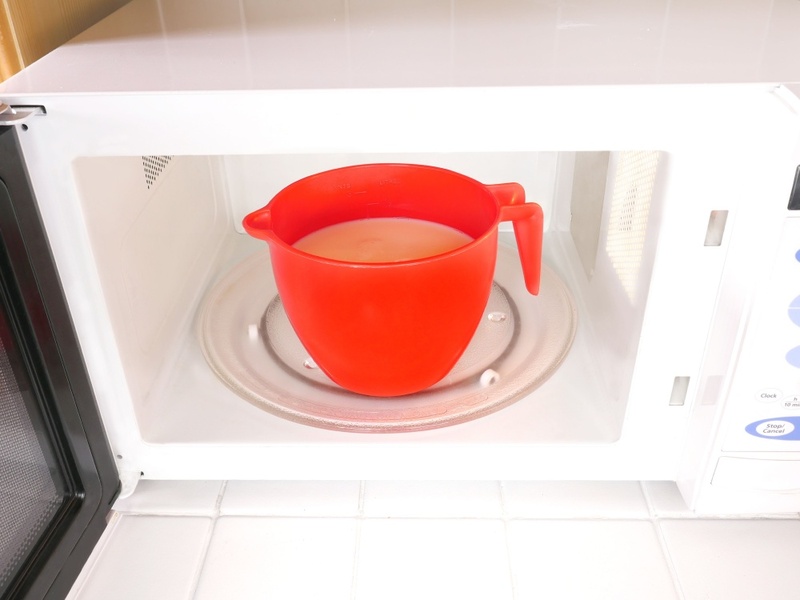 1.5 Litre microwave jug. 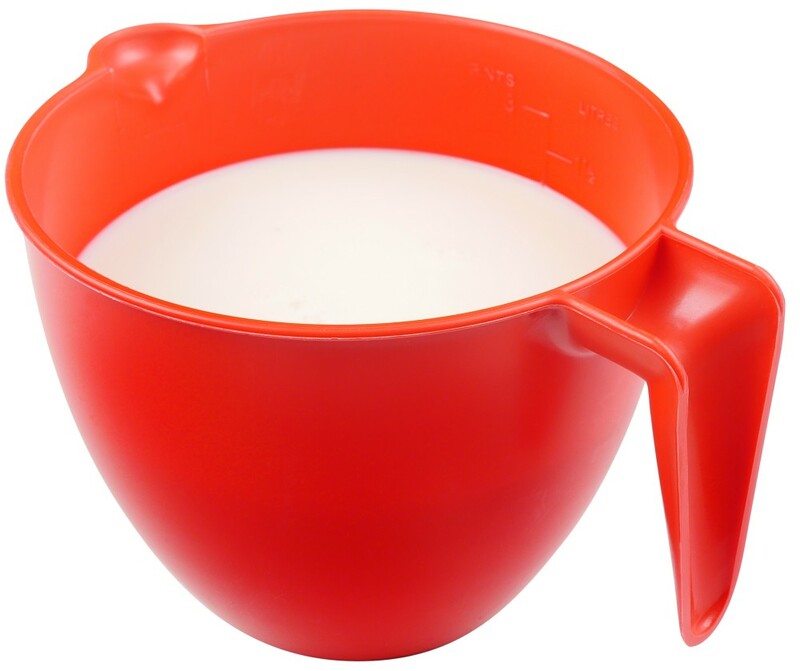 The jug has high sides to help prevent boil overs. 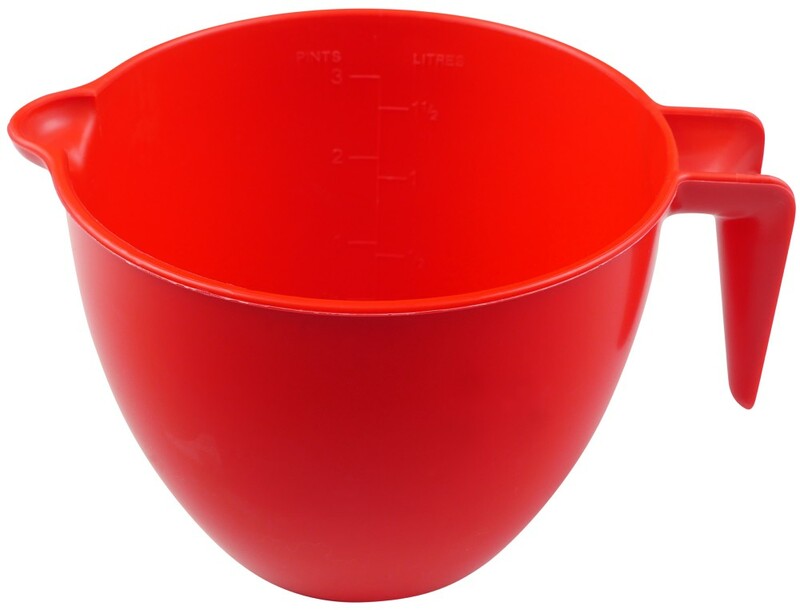 Ideal for preparing soups, sauces, scrambled eggs, custard etc.Graduated in pints and litres for easy measurement of liquids.Strong moulded red polycarbonate finish with a large easy to grip handle. Sorry to hear that your jug has sharp edges. They are clearly mass produced. We have contacted the manufacturer about the finish and they assure us that they are working on addressing the issue. We have found that a nail file or similar will take off the sharp edge but equally have found that it takes away the shine and don't want it to look worn when it arrives so prefer that the customer deals with it directly. It is easily remedied. Great value buy and great service. Delighted with jug as it has so many uses within my microwave cooking. Happy with product and am sure it wont stain as much as my old white jug but do find the handle hot when cooking food on high heat.